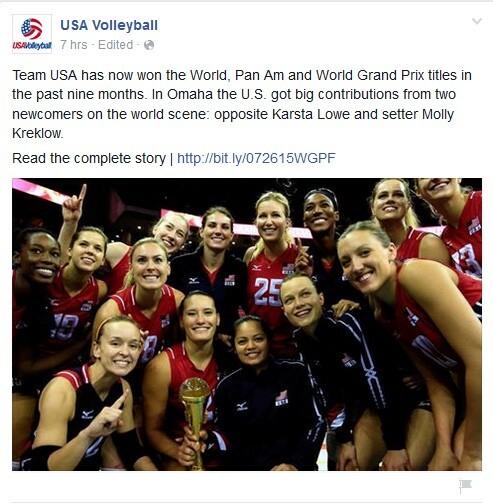 Lausanne, Switzerland, July 28, 2015 - Should anyone still have any doubts about which women’s team is currently the best in the volleyball world, last weekend provided an emphatic answer: USA. Nine months after their historic first World Championship title, coach Karch Kiraly’s team claimed their sixth FIVB Volleyball World Grand Prix title with five wins from five matches in Omaha. Almost simultaneously, USA also defeated Olympic champions Brazil in the final of the Pan American Games in Toronto. Having previously won in 1995 and in 2001, and three times consecutively between 2010 and 2012, USA won the prestigious FIVB Volleyball World Grand Prix title for a sixth time this year. That puts the team in second place in the all-time list of winners, behind record winners Brazil (ten titles). The Olympic champions had to settle for third place this time, behind Russia. This was the first time since 2007 that Brazil had not finished in the top two of the FIVB World Grand Prix. For the United States, the first final round of the FIVB World Grand Prix played on home soil was a huge success – and not only thanks to winning the title and 200,000 dollars in prize money. Thousands of spectators in the bubbling arena in Omaha created an electric atmosphere. And Olympic broadcaster NBC showed live volleyball for the first time outside of the Olympic Games. Brazil and China may not have sent their strongest teams, but the US team’s performances in the five matches that made up the final tournament were still nothing short of extraordinary. The USA fielded a different line-up each night, with big contributions coming from two newcomers on the world scene. Opposite Karsta Lowe, who joined the programme this year, led the Americans in scoring with 79 points and 65 kills. Setter Molly Kreklow was given the responsibility of running the offense. Lowe and Kreklow led a strong contingent of US players in the all-tournament team and award winners: Kreklow (Best Setter), Christa Dietzen (2nd Best Blocker) and Kelsey Robinson (2nd Best Outside Spiker). 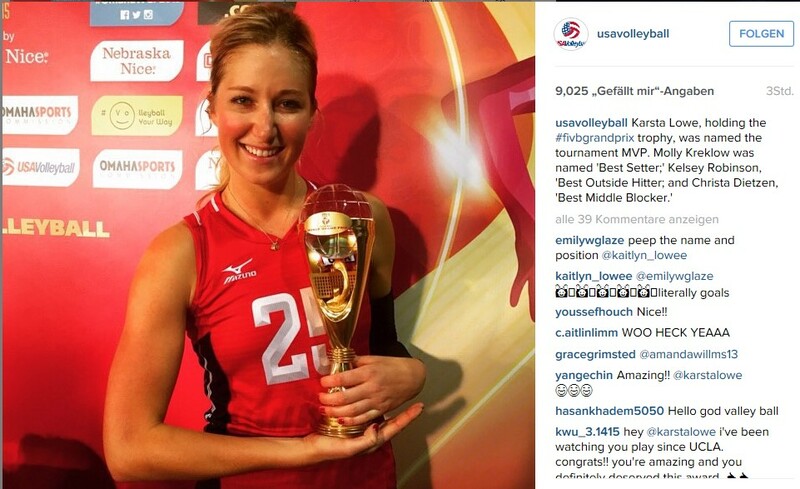 Lowe was named the tournament’s Most Valuable Player in her first big FIVB tournament. The youngsters in the team are led magnificently by experienced players like captain Dietzen, who is lovingly known as “Mom”. However, the boss in the team is Jordan Quinn Larson-Burbach, who is affectionately called “The Governor.” However, even she showed a soft side after the final match. 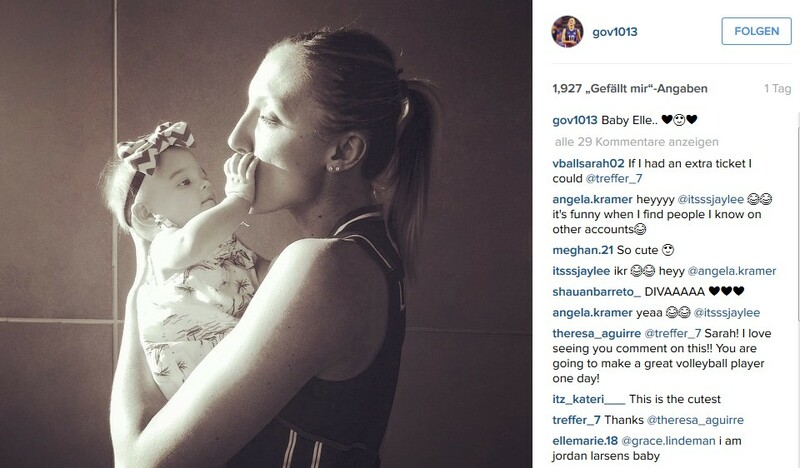 She is a role model for setter Kreklow for example: “I remember watching Jordan Larson play when I was younger and just being super impressed by who she is and how she carries herself.” As well as the World Championship title with USA, Larson-Burbach also won the FIVB Volleyball Women's Club World Championship in 2014 and 2015. Appropriately, “The Governor” scored the winning point in the 3-0 defeat of China in the United States' last match of the FIVB World Grand Prix. Next up for Team USA will be the first Olympic qualifier next month in Japan, the FIVB Volleyball World Cup, which begins on August 22. The US players, including those on the gold-medal winning Pan American Games team, will take one week off, then start a two-week training block in Anaheim, California. The top team in the world continues its relentless pursuit of titles.